I fell behind with the Web log because Tuesday was my mom's birthday. 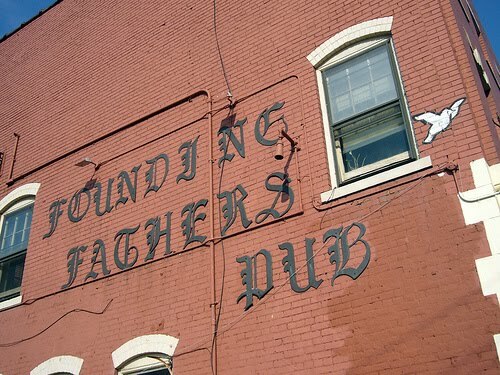 We took her out for dinner at Founding Fathers. It always falls to me to organize this. Which makes no sense because my birthday is the day before my mom's. And do not I have the right to go out and get drunk on my birthday and then the next day be hung over and no good to anyone? But I did not go out and get drunk and was not hung over the next day and so was stuck organizing this birthday dinner for my mom. The phone kept ringing and it was always someone asking if I had called someone else, and what time was the thing going to be, and shouldn't we have it here, not there? It went back and forth until finally I felt like the donkey in the Aesop's fable about you cannot please everyone. Finally I settled on Fathers because that is where my mom had suggested in the first place. Even so it turned into this organizational nightmare. My brother Tony was half an hour late picking my mom up and that was just the beginning. Whenever Tony gets involved with these things they go bloohey. It is like that one terrible night at Artpark after which I could not stop griping. Once Tony did pick Mom up, I overestimated the time they would take to get to the bar and when I got there they had been there for 10 minutes. They were just standing there like sheep in the middle of the bar. These are the only two people in the world who would not just sit down at a table and order a couple of beers and relax. Nothing was to my mom's liking. She was probably stressed out too. First the restaurant was too dark. She couldn't read the menu. Next she did not like her Independence Burger. Everyone in the world loves this burger but my mom. My brother George, who thank God had shown up, offered to give her half of his Philly Cheese Steak. There was a brief bright moment when they traded. Then my mother asked for her burger back. Apparently the burger was bad but the Philly Cheese Steak was worse. 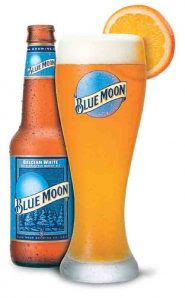 Then my mom says about her Blue Moon beer: "The Blue Moon I had in Lewiston was better. This one tastes like orange juice." Once a couple of years ago my mom and I stopped in a pub in Lewiston and had Blue Moon beer and my mother loved it. The flip side is, every Blue Moon we have had since then, it has never measured up to that first Blue Moon and my mother always mentions that. Back to Founding Fathers. I ate a chicken Caesar salad and my mom said: "Wow, you ate the whole thing!" My mom always does this to me! Wherever we go she expresses amazement that I eat the amount that I do. By the time my brother Tony stuck me with the check I did not even care. Our exit from the restaurant was fittingly dramatic. It was pouring rain so we had to wait in the doorway. Naturally everyone else in the bar has to get up and leave at that same instant so all of us are wedged into this tiny little 1820s doorway. In the confusion I see my mother is holding this envelope. "Someone gave this to me," she said. And it is this crazily lettered envelope from this guy who has been looking and looking for the score to Leonard Pennario's "Midnight on the Cliffs." He just wrote to me and I had stuck it in my purse to deal with later and of course, here it was. It must have fallen out of my purse and someone gave it to my mom, naturally, and not me. So here it was presented to me at this moment of stress. I said, "Oh, that's mine," and I took it. "What is it?" my mother asked. "It's this guy looking for this thing Leonard wrote," I said. I should have gotten drunk on my birthday. Too late? Nah. Go ahead. You deserve it, lol! Yea you should of gotten drunk. Did your sister Kathy show? What to go out Sunday? We can make up for your miss Hangover. And I will pay. Bing and Larry, thanks for the sympathy! Lizzie, I will take you up on your offer!